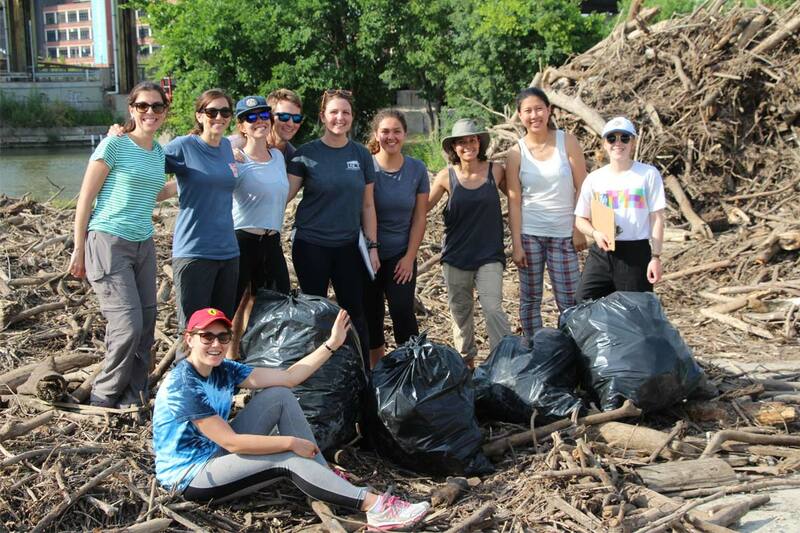 On a hot and muggy July day, Chelsea Rochman, an assistant professor of ecology and evolutionary biology at the University of Toronto, and a group of students made their way to the mouth of the Don River, armed with gardening gloves, garbage bags and a first aid kit. “We are trying to understand how much trash comes down the Don River and enters the lake so that if we do get infrastructure to help stop the debris, we know how much we're stopping,” says Rochman. “I thought it was quite a bit considering it's a two-week period buildup,” says Rochman. For Torontonians looking to play a part in cleaning up Toronto’s waterways, Rochman suggests heading to the Great Canadian Shoreline Cleanup website to start a new initiative or join an existing one. Her group, which she calls the U of T Trash Team, also hosts regular cleanups.